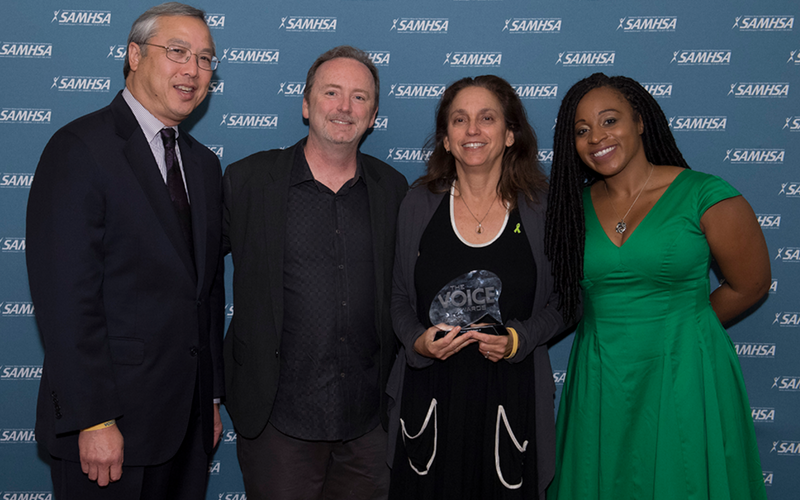 The S Word is the proud recipient of a 2017 Voice Award. Director Lisa Klein accepted the award and was joined on stage by Producer Doug Blush along with Kelechi Ubozoh and Ann Taylor who are both featured in film. 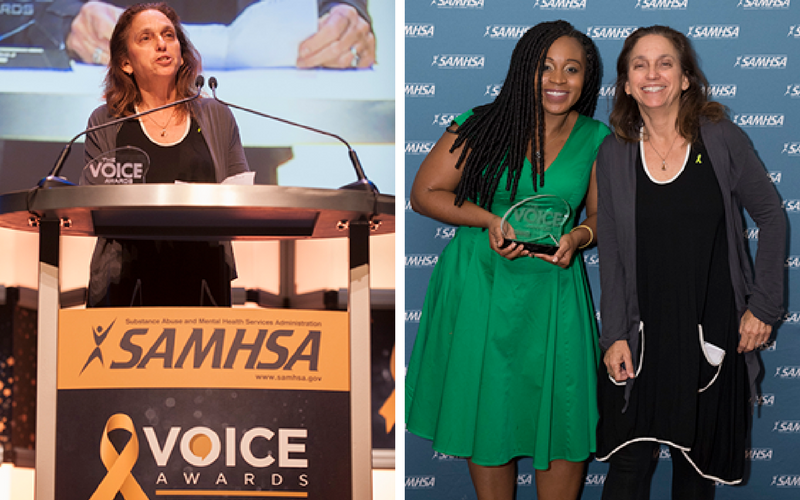 The Voice Awards program honors consumer/peer/family leaders in recovery from mental health conditions and/or addictions. 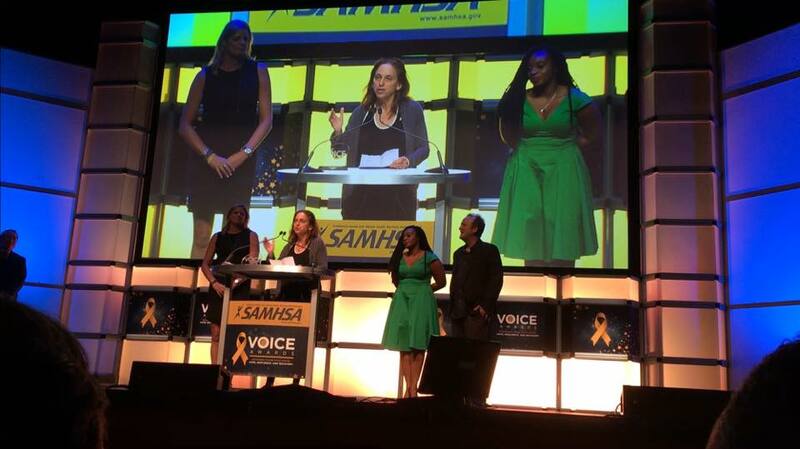 These leaders play a vital role in raising awareness and understanding of behavioral health issues. They are sharing their stories of resilience and recovery to reduce the discrimination and misperceptions associated with behavioral health conditions. The awards program also recognizes television and film writers and producers who give a voice to people with mental health conditions and/or addictions. They incorporate dignified, respectful, and accurate portrayals of these individuals into their scripts, programs, and productions. Through their work, audiences can experience the stories of people with behavioral health needs and embrace the hope and promise of recovery from these conditions. Director Lisa Klein accepting the Voice Award and with Kelechi Ubozoh backstage. Richard Yep from the American Counseling Association with Doug Blush, Lisa Klein and Kelechi Ubozoh. 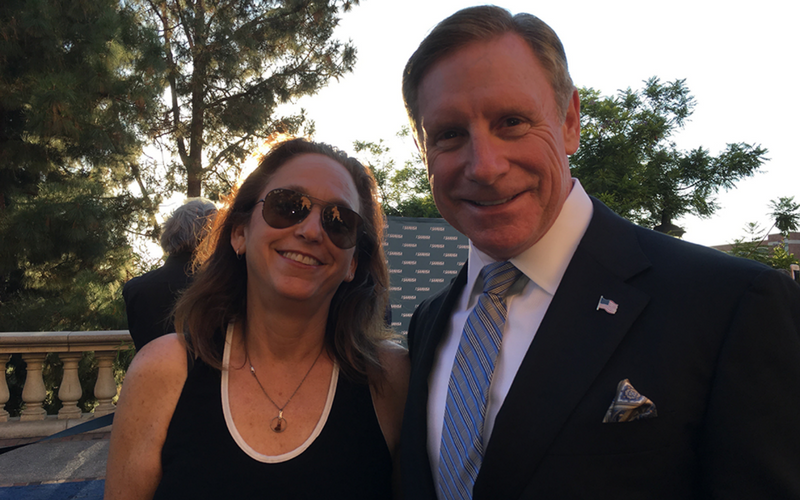 Lisa with Kevin Briggs of The Golden Gate Bridge.